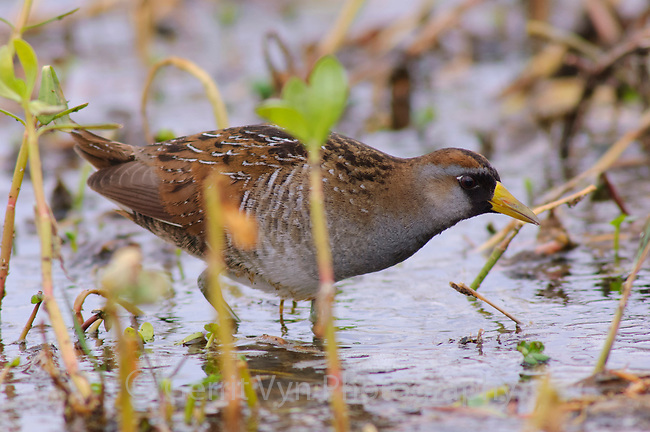 Adult Sora (Porzana carolina) in breeding plumage foraging in a marsh. Anahuac National Wildlife Refuge, Texas. March.